Over the same period, investment home sales rose while vacation home purchases dropped. 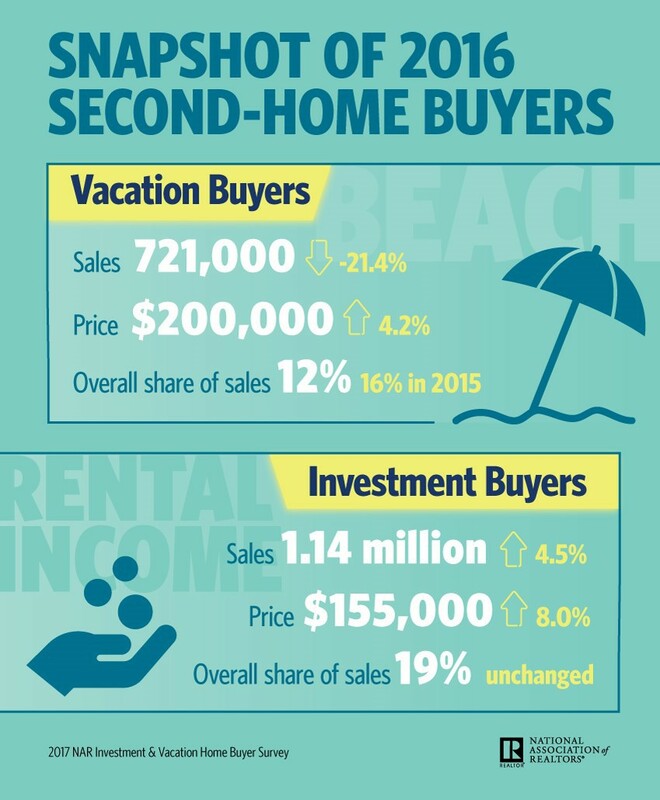 Purchases of vacation homes plummeted for the second straight year in 2016, as price growth and financial uncertainty crimped demand, the National Association of Realtors (NAR) reported in its 2017 Investor and Vacation Home Buyer Survey. Yet investment home sales rose over the same period, with investors using financing more often and renting out more of their properties on a short-term basis. Both trends played out as purchases by owner-occupant buyers climbed to their highest level in a decade. Vacation home sales in 2016 dropped by 21.6 percent from the previous year to 721,000, according to the survey. That followed a 2015 year-over-year drop of 18.5 percent, meaning vacation home sales have fallen by 36 percent in the last two years. “In several markets in the South and West — the two most popular destinations for vacation buyers — home prices have soared in recent years because substantial buyer demand from strong job growth continues to outstrip the supply of homes for sale,” said NAR Chief Economist Lawrence Yun in a statement. Volatility in financial markets in late 2015 and early 2016 also hurt vacation-home sales “as some affluent households with money in stocks likely refrained from buying or delayed plans until after the election,” he added. But those headwinds didn’t deter real estate investors or homebuyers who planned to live in the properties they purchased. Investment-home sales increased 4.5 percent in 2016 from the previous year to 1.14 million. And owner-occupant purchases jumped by 12.5 percent to 4.21 million, their highest level since 2006. “Sales to individual investors reached their highest level since 2012 (1.20 million) as investors took advantage of record low mortgage rates and recognized the sizable demand for renting in their market as renters struggle to become homeowners,” Yun said. Anemic housing supply drove up prices for vacation and investment homes in 2016 to levels not seen in roughly a decade. The median vacation home price clocked in at $200,000, up 4.2 percent from 2015 and the highest since 2006. The median investment-home sales price was $155,000, up 8 percent from 2015 and the highest since 2005. More investors financed their property purchases in 2016, as high-tech lenders provided historically cheap credit to home flippers and rental investors. 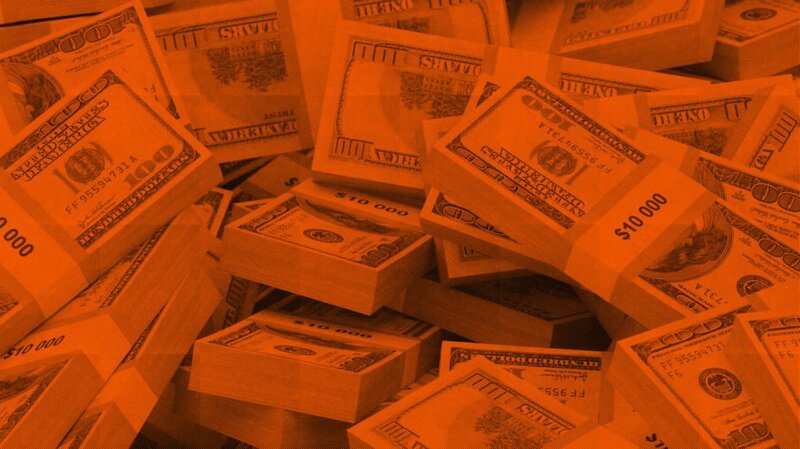 This caused cash purchases by investors to slip to 35 percent from 39 percent in 2015 and 41 percent in 2014. Meanwhile, the share of vacation buyers who paid fully in cash fell to 28 percent from 38 percent in 2015. Heeding the growing popularity of short-term rental platforms like Airbnb and HomeAway, a larger share of investors and vacation homebuyers tried to rent out their properties for less than 30 days in 2016. Forty-four percent of investors (up from 42 percent in 2015) and 29 percent of vacation homebuyers (up from 24 percent in 2015) gave this a shot. Even more investors are likely to experiment with renting out their properties on a short-term basis this year. Twenty-one percent of buyers and 15 percent of vacation buyers did not rent out their home on a short-term basis but plan to try to in 2017. Vacation sales accounted for 12 percent of all transactions in 2016, which was the lowest share since 2012 (11 percent) and down from 16 percent in 2015. Investors’ share of home purchases remained flat at 19 percent.